Note: California’s Russian River is famous among anglers for its steelhead fishery, but in recent years this watershed has been the focus of an intensive effort to recover coho salmon, now one of the rarest native fishes in California. TU grassroots and programs such as the Coastal Streamflow Stewardship Project have been working for the past two decades to support this effort. The Laguna de Santa Rosa, the largest tributary to California’s Russian River, is not the type of stream that people typically picture when they think about endangered coho salmon habitat. Similar to many coastal stream systems in this region, in the summer much of the Laguna de Santa Rosa is dry, and the segments that remain wet do not provide the cold, well-oxygenated water that coho need. But in the winter, as flows increase, the Laguna floods, spreading out over the western Santa Rosa Plain. This type of seasonal wetland habitat is now rare in the Russian River watershed. (R) RETU members, installing the PIT tag array in the Laguna de Santa Rosa. This floodplain habitat likely provides two things crucial to coho survival: refuge from high water flows and abundant food resources. But little research has been done to study if cho are actually utilizing this seasonal habitat in the Laguna de Santa Rosa. 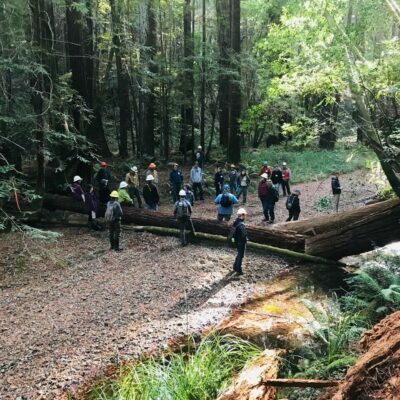 The Redwood Empire Chapter of Trout Unlimited is working with resource agencies and other partners to fill this important data gap. Fish can be difficult to count, especially in the murky waters of an inundated wetland, but PIT tag technology offers an answer, allowing scientists to remotely monitor the movement of fish. 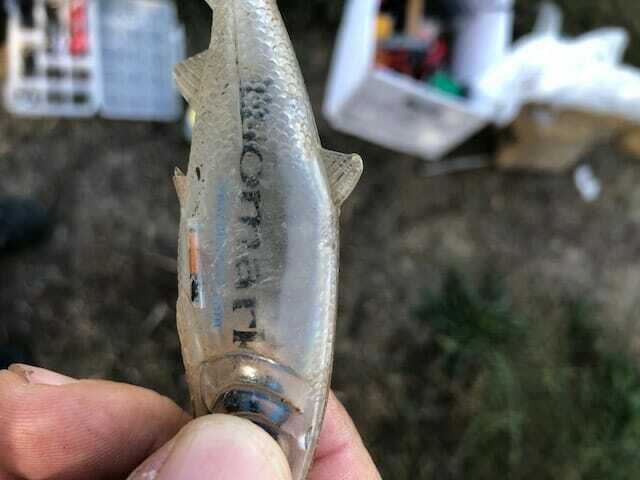 Short for “passive integrated transponders,” PIT tags are about the size of a grain of rice and are surgically implanted into young coho as part of the Russian River Captive Broodstock Program. A network of antennas managed by the California Sea Grant Russian River Salmon and Steelhead Monitoring Program and Sonoma County Water Agency allow fisheries biologists to track coho movement throughout the lower Russian River watershed. RETU has purchased and deployed a pair of PIT tag antennas to watch for fish moving into the Laguna de Santa Rosa. (L) A PIT tag installed on a model juvenile coho — the tag is the tiny orange tube on the edge of the fish’s belly. Coho salmon require specific habitat types at different life stages for optimal growth and survival. 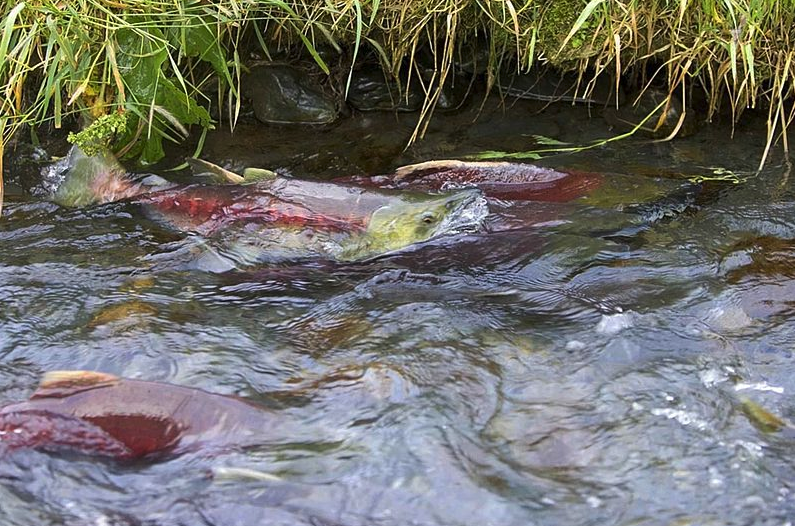 After rearing in freshwater for their first year, 1-plus-year-old coho out-migrate to the sea in the spring. In this phase coho are highly mobile, seeking low-velocity habitats where invertebrate production is high. 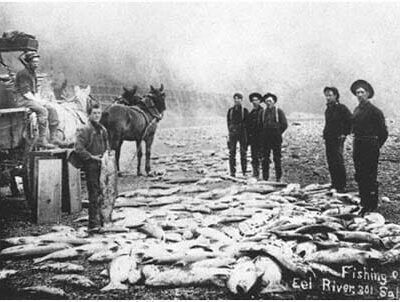 It is during this time that we suspect coho are entering the Laguna—coho have been documented using this type of habitat in other Russian River tributaries. And fish rearing in these habitats tend to grow larger, which increases their survival rate as they head out to sea. 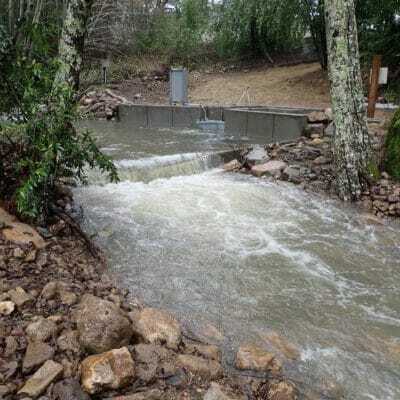 Fish monitoring projects may not get the attention that habitat restoration often receives, but such projects are nonetheless vital for advancing salmonid science and management of listed species such as coastal coho in California. In addition, monitoring projects such as that now underway on the Laguna de Santa Rosa, which further our understanding of how fish use their habitat, can help prioritize how limited restoration funding is spent. Special thanks to the Rose Foundation and Sonoma County Fish and Wildlife Commission for their financial support of the Laguna de Santa Rosa Coho Monitoring Project and to the California Sea Grant Russian River Salmon and Steelhead Monitoring Program for their expertise and technical support. Thanks also to the many TU member-volunteers who have contributed brains, brawn, and funding to this effort! Charlie Schneider is the current president of TU’s Redwood Empire Chapter. RETU’s home water is the Russian River.